Kibeho is a small African village in the mountainous terrain of Rwanda. 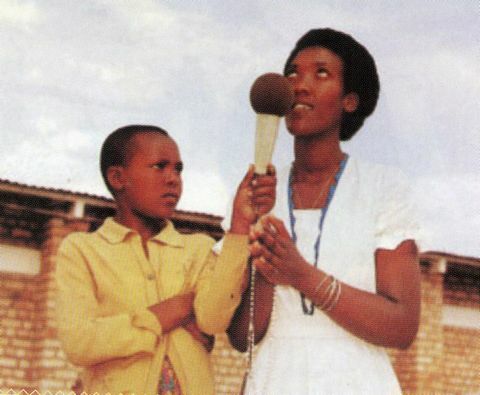 This amazing and inspirational story would never have been known to any of us if it had not been for the miraculous survival during that country’s horrible genocide of author Immaculee Ilibagiza, who revealed the details of Blessed Mary’s visits in her book, “Our Lady of Kibeho.” The encounters began on Saturday, November 28, 1981with the first visionary, Alphonsine. Then Mary smiled and rose gracefully upward, vanishing into the cloud’s dwindling light. The girl collapsed on the floor in a stupor and could not be roused for 15 minutes. Almost everyone in the dining room had heard her speaking to someone! Now a group was in the hallway, trying to revive her. She was totally exhausted and had much trouble getting to her feet. When she told of her experience, nobody believed her. As more experiences continued, so did the harsh ridicule, teasing, and hurtful comments. Alphonsine falls into mysterious trances with Blessed Mary’s arrival. On one occasion she was walking along with a group of girls when she suddenly dropped to her knees as though she had been shot. She landed heavily on her knees and stared at the ceiling exactly as she had the day before. Her face lit up in ecstasy, smiling peacefully with tears of joy running down her cheeks. The transformation was so sudden and dramatic that some girls began to believe. Others howled with laughter, waving their hands in front of her eyes and shouting in her ears. But she did not blink, flinch, or react. She didn’t see the girls any longer – only the beautiful lady hovering above her again in the same soft, glorious light. 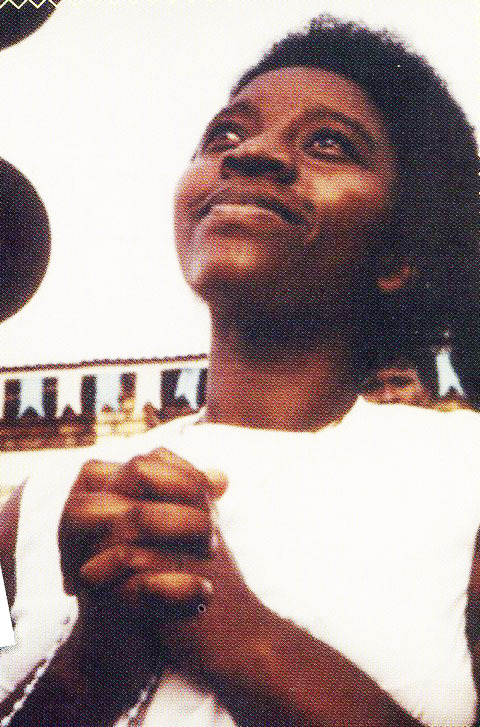 Mary was the “most beautiful woman” she had ever seen – and said her skin was neither black nor white, but “shined like polished ivory.” She did not tell the girls that Mary was giving her important messages to deliver to government officials – even the Hutu president – about their policies of discrimination against Tutsis, praying the Rosary every day, following the Ten Commandments, etc. On another occasion her classmates would toss rosaries at her while in an ecstasy, trying to hook them on her head like a ring-toss game. Some girls were respectful and laid their rosaries in front of her, hoping that Mary might bless them. When Mary told Alphonsine to pick them up so that she could bless them, the girl reached blindly into the pile of all the rosaries, unaware of the girls around her, and managed to only select those from the respectful girls. Those from the hecklers “stuck to the ground like anchors” and could not be lifted. At the end of each apparition, Mary would tell Alphonsine exactly when she would next appear – and local villagers starting planning their schedules around them! Word spread like fire to many other villages, and school officials were afraid that an attention-seeking teenager was going to turn their school and parish into a national embarrassment. One of the priests gave permission for the harshest heckler, Marie-Claire, to go ahead and torment her even further! So she organized a group of tormenters to pull her hair, twist her fingers, pinch her very hard, scream in her ears, and shine a powerful flashlight into her eyes. But Alphonsine had no reaction whatsoever to any of this because she was in an ecstasy with the Virgin Mary. One day Marie-Claire held a burning candle under her right arm, but still there was no reaction. The priest, who was encouraging the harassment in order to expose her as a fake, now told Marie-Claire to stick a long needle several inches deep into her arm during the next ecstasy. Alphonsine still showed no response as she continued to happily chat with Mary. But she started begging Mary to let other students see her because Alphonsine was tired of the disbelief and ridicule. 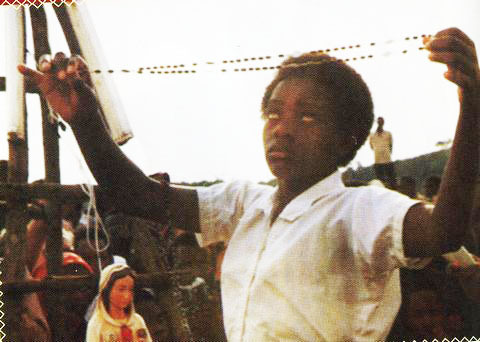 “Our Lady of Kibeho” as seen by eight visionaries in Rwanda. The messages stressed the need for prayer, deep reflection, humility, and self-sacrifice. Then Mary told her something that she had told previously to Bernadette in Lourdes, “I cannot promise you happiness in this world, but I can promise you eternal happiness in the next world.” Others were impressed, but there was still a strong group of doubters led by Marie-Claire, who was more outraged than ever, determined to expose fraud. Even the priest who had encouraged her harassing, told her to back off now from being so mean. It would take a miracle to change Marie-Claire – and then it happened! On March 1, 1982, Marie-Claire fainted during a walk in the garden between classes. She found herself in a dark area with an odor of human waste and decaying flesh – so disgusting that she felt like vomiting. She ran blindly in the darkness, hoping that she would find her school – and banged right into the front door. The darkness disappeared. Anathalie is the second visionary to begin having apparitions. “(With an affectionate laugh:) Why would you want to fight me, my child? What is making you so afraid? Never be afraid of your mother! … There is no need to be afraid of them. I promise the things of the night that threatened you will not frighten you again. Marie-Claire felt ashamed that Mary was describing her own recent and nasty behavior. She refused to sing, so an amused Mary brought Anathalie into the scene to hold her hand and help her sing. Then she awakened on the chapel floor again, surrounded by thirty students who had witnessed her in a state of ecstasy, holding hands with Anathalie, and singing to the Blessed Virgin. Word spread within minutes across the campus that the sworn enemy of the visionaries had confessed to being visited by Mary as well. Marie-Claire’s rude, aggressive, and negative manner had essentially vanished overnight. Antagonist Marie-Claire suddenly becomes the third visionary. 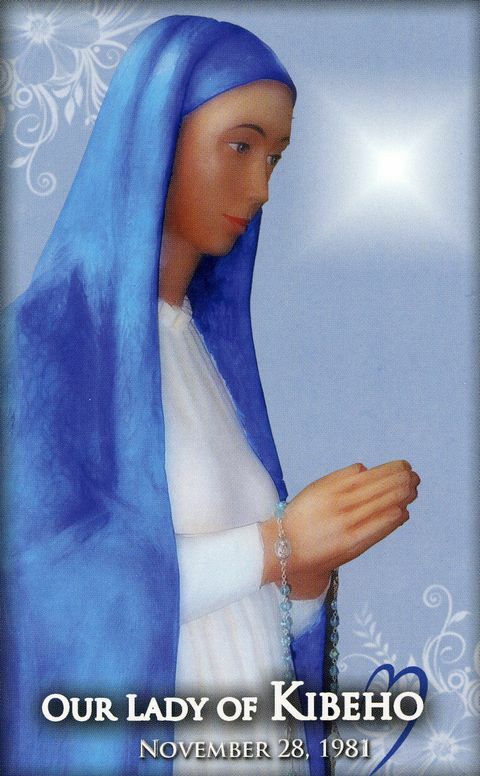 Later on, Mary showed her a black rosary, “The Rosary of the Seven Sorrows,” and taught her how to pray with it, making it her mission eventually to reintroduce it to the world. Marie-Claire asked Mary if her sister, who had died a year ago, was in heaven, but Mary explained that she was still in purgatory, waiting. The visionary complained that their family had prayed extensively for her, so why wasn’t that good enough? However, in a few days, Mary reported to Marie-Claire that “today your sister entered heaven and joined your father” – much to her delight. Anathalie, Marie-Claire, and Alphonsine — the first three Mary came to. The priest was stunned at this amazing validation, and his heart was immediately converted, becoming a huge supporter of the visionaries from then on! Now, hundreds of curious villagers wanted to visit the campus or hang out near the college dormitory. 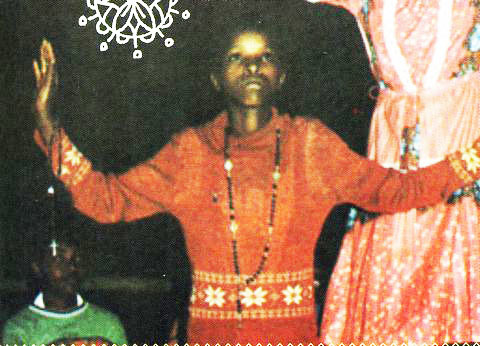 Agnes had many public apparitions in Kibeho. 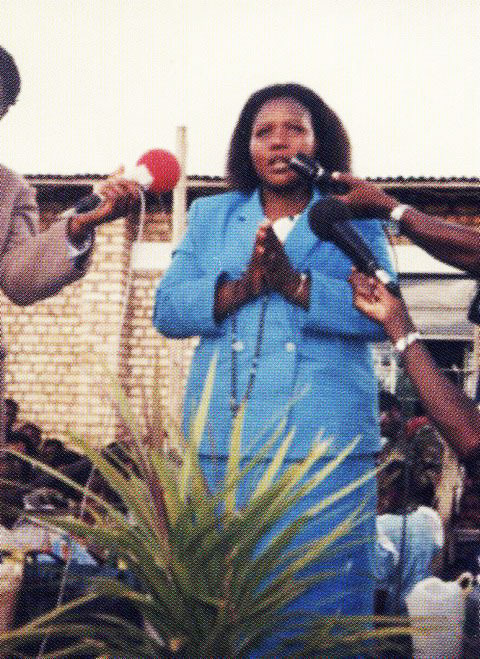 On August 4, 1982, Agnes Kamagaju (21) had her first visions. Lying on her bed in her room, she began feeling an intense happiness that caused her to start giggling and laughing so loudly that it woke her parents. Then the Virgin Mary emerged from a spectacular glowing light. She was young and very beautiful, dressed in a white dress with a blue veil. The light surrounding her glowed like a crown about her head. She soon identified herself as “the Immaculate Conception.” She told her to start praying the rosary, and when she did, they were both transported to a beautiful field of flowers with a “crystal ship floating in the stars above.” Two nights later, her bedroom filled with light again, and Mary revealed to her that she was “the Mother from Heaven.” This time she pointed down to the ground where a dark pool “like an enormous puddle of black ink” was spreading across the ground. She was afraid of being sucked down into it. Thousands gathered for the apparitions and miraculous signs in the sky. Many thousands attended the public apparitions of Agnes and were often amazed at celestial displays that accompanied her visits from the Virgin Mary. 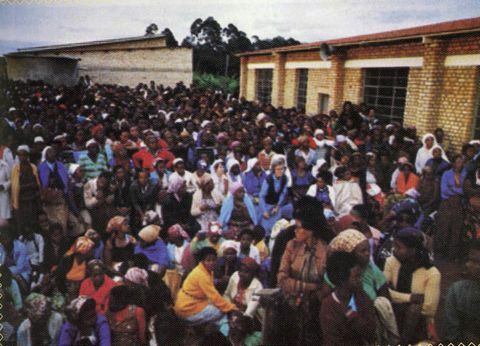 The “Boy who met Jesus” — Segatashya, the only male visionary. Investigators and doctors continued to monitor and test the visionaries, pinching the girls with pliers, sticking them with needles, twisting their arms behind their backs, and shoving them hard to the ground. One very large man, a doctor, kneeled on top of one of the teenagers and bounced up and down on her chest! None of the visionaries ever reacted or were ever injured. In fact, they didn’t even seem to notice as their faces beamed with love and joy, chatting and singing to the Virgin. Segatashya goes into an ecstasy with the Virgin Mary. 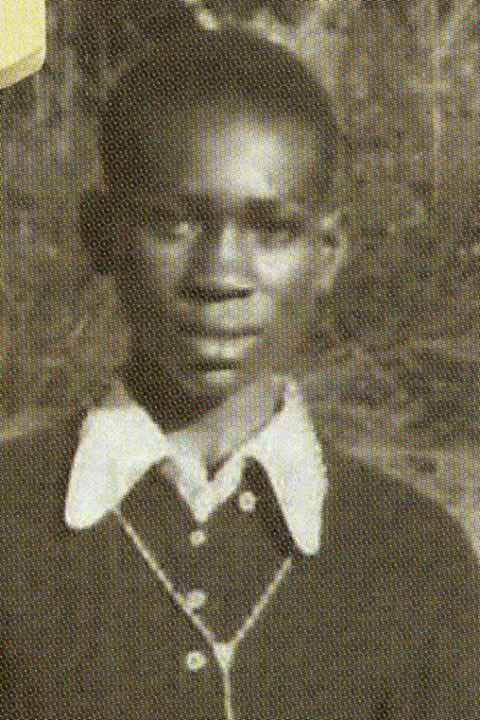 Vestine (24) was the eighth and final youth to be contacted on September 15, 1982. Mary’s messages were global and did not ask the Muslims or Protestants to covert, either. Another visionary, Stephanie, begins having visitations. The messages were accompanied by extraordinary signs seen in the sky. Several times people saw a cross or crown of thorns in the sky near the sun. When Agnes asked for a blessing for the people present, a light refreshing rain fell on them, actually healing cuts and wounds from the pilgrims’ long treks to get there. Anathalie also had a mystical journey which began on the podium in front of the crowds after a five-hour apparition. She collapsed into the same “frozen-limbs” state of near-death with the same officials and doctors vigilant and testing her. Seven hours later, she awoke and was carried to her bed where she did not speak for two days. Vestine’s trip was largely a test of faith – as Jesus asked her to die for Him on Good Friday, have her soul go to heaven, but be resurrected and returned on Sunday – like he had. But she trusted that he would keep his promise, so she begged others to not bury her if she appeared dead. Investigators, journalists, doctors, officials, and members of the Commission of Enquiry tensely awaited Easter weekend, wondering how she was going to die. Doctors run tests while Alphonsine is in her ecstasy with Mary. As predicted vividly by the Virgin Mary, the deadly genocide happens in 1994. Our Lady said that if her warning came to pass, not to cry for those who would die because the gates of heaven would be open for them as they will have died innocently. Genocide survivor Immaculee Ilibagiza kept Kibeho’s story from vanishing. 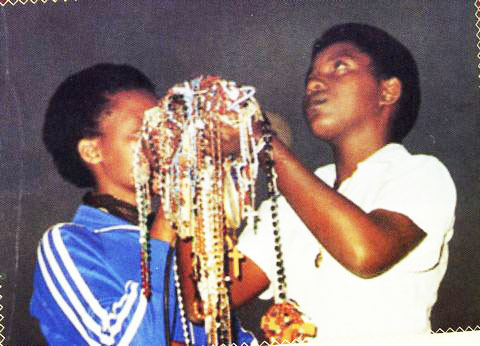 The shrine in Rwanda for Our Lady of Kibeho. 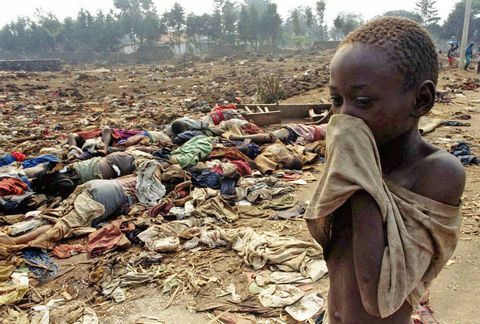 Then, as horribly predicted by the Virgin Mary, a terrible genocide came to Rwanda in the spring of 1994, with more than a million innocent souls murdered and chopped to pieces by the ruling tribal government in an effort to exterminate all those who belonged to the Tutsi tribe. 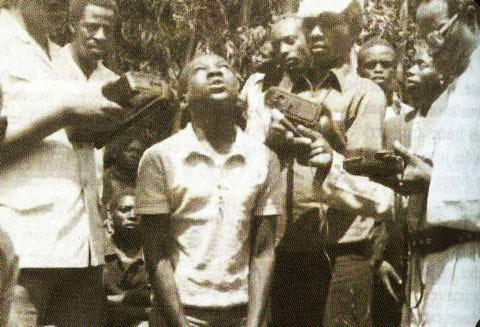 Thousands upon thousands of decapitated bodies were dumped into rivers that then ran thick with human blood. Three visionaries, Marie-Claire, Stephanie, and the boy, Segatashya, all died in the holocaust. 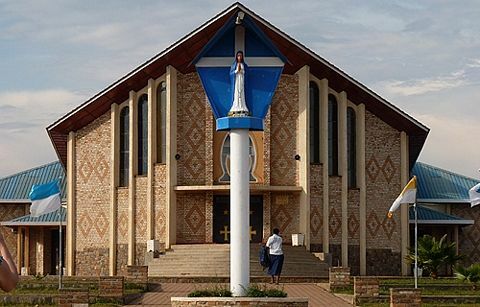 The author of “Our Lady of Kibeho,” Immaculee Ilibagiza, lost her whole family while she was secretly hidden in a tiny 3 by 4-foot bathroom of a preacher’s home with seven other women in silence for three months. 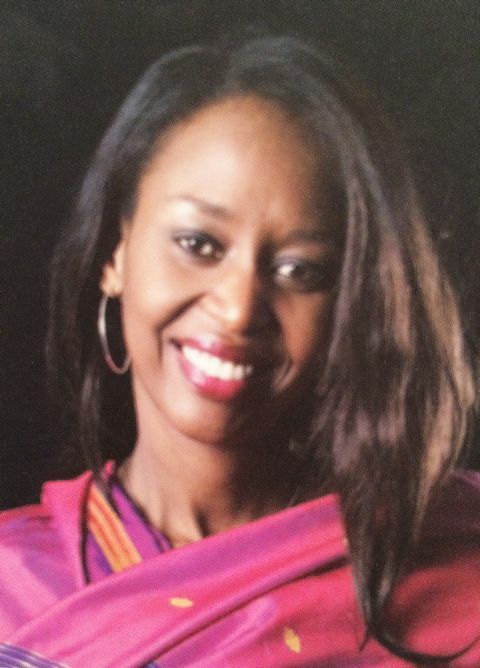 She describes her miraculous survival and escape in her book, “Left to Tell.” Today, Immaculee Ilibagiza sometimes links up with either visionary Valentine or Anathalie on pilgrimages and hears some of the messages that Valentine still receives. The amazing and detailed accuracy of Mary’s predictions convinced everybody of her authentic messages. 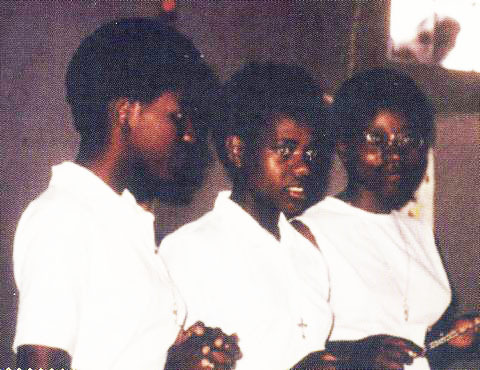 Finally, in 2001, after 20 long years of investigation and seven years after the genocide, with overwhelming evidence Bishop Augustin Misago declared the apparitions to be authentic. 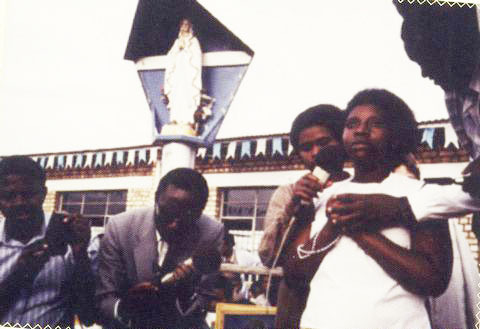 Three days later, the Pope and the Vatican added Kibeho to the list of approved Marian apparition sites. Today love and peace flow from Kibeho as a place of spiritual hope and renewal.